A long weekend gives you a great excuse to take yourself on a road trip and if you’re flying into Dunedin you’ve picked a great place to start. It’s a city with a proud and fascinating history and the perfect complement to your final destination of Christchurch, known as the ‘Garden City’. Some people take flights from Dunedin to Christchurch but the drive is only about 4 ½ hours with plenty to see and do along the way. Dunedin is also the home to the latest member of the GO Rental’s family – our brand new branch at Dunedin Airport! But enough talk! Let’s get on with it and let the adventuring begin! Having arrived safely at Dunedin Airport and picked up your GO Rentals hire car you’re probably tempted to hit the road straight away. Our advice is to take your time and explore Dunedin first before doing so. As we mentioned earlier, Dunedin’s got a unique and fascinating past thanks to its strong Scottish roots from the influential migrants that came to the city between 1850s – 1900s. It’s got a number of fantastic museums like the Toitu Otago Settlers Museum, Otago Museum and the Dunedin Public Art Gallery that’ll give you great insight about how the city was founded and who the people are that inhabit it. Dunedin also has some incredible architecture and natural scenery that shouldn’t be missed. The Dunedin Railway Station, for example, is one of the most photographed railway stations in the country thanks to Flemish-styled design and Larnach Castle is the only one of its kind in the whole of New Zealand as well! With regards to scenery, the walk up Signal Hill from the town centre rewards you with wonderful panoramic views of the entire city at an elevation of around 1,000ft. If you’d prefer the scenery without the hike, then you can’t go wrong with a visit to the Dunedin Botanic Gardens. Ever present in the city for the last 150 years, the Dunedin Botanic Gardens has much to appreciate including a good number of exhibitions right throughout the year. After exploring the city for a few hours doing any number of the activities suggested it’ll be time to set off for your first destination on this trip – the Moeraki Boulders. It’s a 76km drive which you’ll reach in just under an hour. As a visitor, there’s a good chance you’ve seen the Moeraki Boulders without realising exactly what they are. Made of a unique type of mudstone, they are large spherical-like rocks that sit on the shores of the quiet Moeraki Boulders Beach on the East Coast. Their sheer size and shape have captivated locals since the time of the first Maori settlers who incorporated them into oral legend. Visitors and locals since have taken some incredible photos on the likes Instagram which gives you a great chance to do the same! After you’ve taken your award-winning snaps at the Moeraki Boulders you continue north up State Highway 1 some 37km to get to the town of Oamaru. Having arrived in Oamaru, hopefully by late afternoon/early evening, you’ll be there just in time for the evening viewing at the Blue Penguin Colony. This is an absolute must-do when visiting the region and is why we’ve recommended this particular stop. Against the sunset, you’ll be able to witness penguins returning back to the shore from their day out feeding at sea. Against the golden sunset and the sight of the coast itself, it’s a truly magical experience. 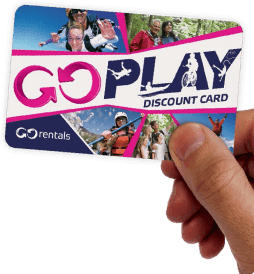 The other great thing about this experience is that our customers get a 10% discount using their GO Play cards! Before setting out on your drive to Christchurch you’ll want to give yourself a few hours to explore Oamaru, a great little town with some wonderfully unique little traits. These traits are largely to do with Victorian Precinct that exists in the heart of the town which dates back to the 1860s. It was the focal point for trade for the town that’s been beautifully restored to all its original splendour. In addition to walking through the streets of the precinct, you can also pay a visit to Whitestone City, a great recreation of the area in its heyday with models, sets, dioramas and plenty of information and insight to share. Another great thing to make time for in Oamaru, especially for fans of popular culture, is Steampunk HQ, an awesome little museum dedicated to the genre of Steampunk. The Victorian era setting is the perfect place for such a museum which has its home in a grand old granary building of the era. Inside you’ll find a great collection of movie memorabilia, models and sculptures from the classics you love. It’s super interactive and great fun. Both Steampunk HQ and Whitestone City offer discounts using your GO Play card! After a pleasant few hours, you’ll be off on your way to Christchurch, 249kms north of Oamaru. After a fairly decent drive, you’ll probably want to stretch the legs and unwind a bit and the best way of doing that is via the beautiful scenery that gives the Garden City its name. Its naming is in large part due to the existence of Hagley Park, a 165 hectare park in the heart of the city. With the iconic Avon River running through it, you’ll be able to appreciate that and more by following one of the many walking paths that have been laid out. The Christchurch Botanic Gardens is a definite highlight as well as the picturesque Lake Victoria where you may even see a model yacht or two in the water. With over 3,000 trees in the park, it’s a great green space to enjoy. As the largest city in the South Island, it is also one of the best places to eat in the South Island with plenty of places in and around the city centre to choose from. Everyone knows that eating out is one of the highlights of travelling and we’ve recognised that through our GO Play card as well with dining discounts at no less than 4 superb restaurants. They are (in no particular order), The Carlton Bar and Eatery, Casa Publica, Coasters Tavern and Christchurch Casino Grand Cafe. All offer great meals to tuck into and very pleasant atmospheres too. With your first day in Christchurch exploring the great Hagley Park, you’ll be keen to see what other types of experiences can be had at the Garden City. You’ll be pleased to know that there are more than a few, the best of which we’ve highlighted below. Having experienced the beautiful Blue Penguins in Oamaru you’ll probably be keen to see our country’s famous national bird too. This is exactly what you can do at the Willowbank Wildlife Reserve. It is one of New Zealand’s premier wildlife parks which, amongst other things, pioneered the use of glass-free nocturnal houses for its Kiwis. This guarantees you’ll see Kiwis with every visit! On top of this, they’ve plenty of other animals and birds to meet and see like Kaka, Kea, Weka, Takahe, Lemurs, Macaws and more. The Willowbank Wildlife Reserve is another GO Rentals partner with a 10% discount for its customers. Christchurch is a city that suffered terribly from the Canterbury Earthquakes in 2010 & 2011 where 185 individuals lost their lives. Out of the tragedy came some real triumphs with the stories of the many heroes that emerged, from the rescue and response teams to the thousands of volunteers that came out and helped. The museum pays tribute to these people and the victims and describes the regenerative and restorative efforts that are underway. Another highly rated attraction which is especially fun for families is the International Antarctic Centre. This highly interactive attraction boasts a number of fantastic features and exhibitions. One example is the ‘Storm Room’ which replicates a Antarctic storm with a wind chill factor of -18° Celsius. Another example are the resident penguins that are hugely popular at 10:30am and 3:30pm (feeding times). The final example we’ll leave you with is Hägglund experience which is a type of all-terrain vehicle used in the Antarctic that visitors get to ride! The International Antarctic Centre is another GO Rentals Partner which offers a 10% discount. A great thing to do if you have time on Day 3 of your itinerary is to take a little side trip to the coastal town of Akaroa. It’s another great example of a unique place to visit with strong Maori, British and French roots. The Akaroa Museum is a great place to start to give you a taste of all this and the cafes and restaurants in the town (especially the French-inspired) will allow you to do the same, literally! The town also boasts some great coastal scenery with some beautiful walks, like the Banks Walk, to enjoy. There’s also the famous Akaroa Dolphin experience which gets you up close and personal with some of the smallest dolphins in the world! That caps off your Dunedin to Christchurch drive itinerary spread across a jam-packed 3 days. There’s plenty of flex in the trip and you’ll be able to add and remove things as you please. We’re certain that whatever you choose to do, you won’t regret it and will have memories that will last a lifetime!